What is Tachy Brady Syndrome? Is Tachy Brady Syndrome a common disease? Does Tachy Brady Syndrome affect a specific age group? Why Tachy Brady Syndrome affects elderly people? What are the risk factors associated with Tachy Brady Syndrome? What are the Symptoms of Tachy Brady Syndrome? What are the diagnostic tests for Tachy Brady Syndrome? What are the complications associated with Tachy Brady Syndrome? 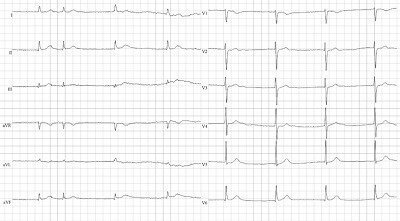 Tachy Brady syndrome is a collection of conditions which shows as slow and fast supraventricular rhythms in ECG. 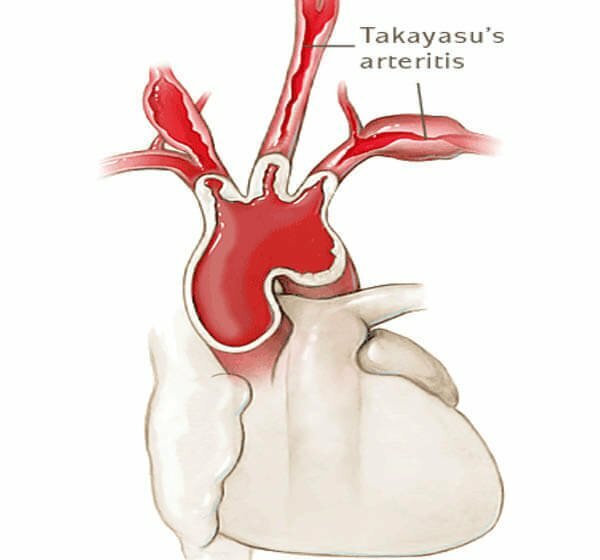 Tachy Brady syndrome us also known as ‘sick sinus syndrome’ or ‘sino atrial disease’. This is a disease that was first diagnosed in the year 1968. It has evolved over year to have very adverse effects that have given people sleepless nights. Heart rhythm of each individual is fixed between 70-80 beats per minute. This time is kept by the sinoatrial node. Tachy Brady syndrome leads to abnormal functioning of the sinus code that regulates the impulse rates. It leads to sinus pause or arrest. This complication is associated with conduction system disease of the heart. It may also lead to a number of supraventricular tachyarrhythmias like atrial fibrillation and atrial flutter. These are conditions that can be fatal if they are not treated well in advance. Research has shown that 1 out of 1600 elderly people is suffering from this disease globally. This is an alarming percentage that needs to be taken care of. The Tachy Brady Syndrome can occur in all ages but it is more prominent in elderly people. As a person grows old, the sinus code also grows old and weak. This means it can no more perform its functions well. This leads to the weakening of the atrium and the conduction system of the heart. When Tachy Brady syndrome occurs at early age it may lead to other secondary infections that may lead to bad health in a child. It may lead to cardiac related diseases. The Tachy Brady Syndrome is a disease that can be in a person for a long time. However if early Tachy brady syndrome treatments are not given, this disease may become fatal. This is why it is recommendable that once the disease symptoms are noted, it should be given immediate attention. A person suffering from Tachy Brady Syndrome is likely to have a fast heart beat rate, or a slow heart beat rate or an alternation of both too fast and too slow. The heart is a very crucial part of the body that helps in blood circulation. An alternation in the way the heart works may lead to very severe body effects in terms of health. The heart is made of four chambers; the two auricles and the two ventricles. An electric impulse is the one that stimulates the muscles of the heart to contract hence spread the impact of this impulse on the whole heart. Any condition that alters this normal functioning of the heart may lead to sick sinus syndrome or tachy brady syndrome. 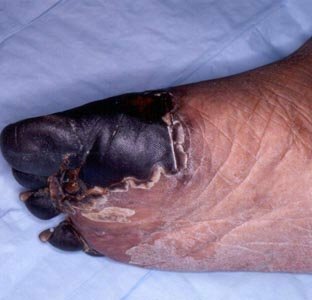 Underlying disease are the major risk facors for Tachy brady syndrome. The risk factors are high blood pressure, increased cholesterol, smoking, alcohol consumption etc..
Dizziness– If you are suffering from Tachy Brady syndrome, you are likely to experience dizziness especially during the day time. This dizziness is as a result of the abnormal functioning of the body parts especially the heart that is involved in pumping blood. It is the blood that takes oxygen to all body parts. Lack of enough oxygen in the brain may lead to dizziness. Under some circumstances, this dizziness can go extreme hence may lead to accidents as people may fall on objects unknowingly. Faintness– There are cases where you will experience tiredness and body weakening. The weakness and tiredness is due to lack of oxygen in all the body parts. In some cases this tiredness has led to people being unconscious hence may collapse. If you feel such a way, it is good to seek the services of professional medical personnel. Palpitation- Palpitation is another common symptom of Tachy Brady Syndrome. This is a case where your heart beat goes. You will experience irregular heart beat. This condition is contributed a lot by the effect of this disease on the heart muscles that control the heart beat. When the ventricular muscles are affected, they don’t contract the same way they have been but rather start doing irregular contraction. This may lead to fast heart beat. Difficulty in breathing– When you are suffering from Tachy Brady Syndrome, you are likely to experience some difficulties when you breathe. This is because of the lack of enough oxygen in the body. This may lead to production of whizzing sounds. Too much sweating. When you experience abnormal sweating without doing vigorous exercises, it is good to check if you are suffering from some cardiac complication. Chest pain, facial flushing, memory loss etc are the other Tachy brady syndrome symptoms. The most common treatment for tachy brady syndrome is the use of medications and pacemaker therapy. These are the two major ways that will be used to treat this complication. The aim of the pacemaker therapy is to control the rate of heart beat. Although the sick sinus syndrome is common in the elderly people, it has now begun to affect young children on the age between 1 and7 years. This is why doctors in this field have recommended pacemaker as a way to curb this disease. Pacemakers are electronic devices that are able to regulate the heartbeat to normal range. The sick sinus syndrome is a disease that leads to abnormal heart beat. It can either be too high or too low. To curb this, you can use the pacemaker. This is a device which composes of an electric wire being inserted into the heart. This wire is then linked to an electronic device which will generate impulses that will control the heartbeat. Most of these devices are placed under the skin of the body. A pacemaker is made in such a way that it can sense a normal heartbeat. If it senses an abnormal heart beat in that it beats so fast, the pacemaker will send a small electrical impulse to stimulate the heart to beat at a normal rate. It is good however to note that under extreme circumstances, a pacemaker can shock the heart to stimulate it. If you are using a pacemaker, it is good to wear a medical alert bracelet to show that you have a pacemaker. This is a good measure that will ensure that in case of an emergency you are attended to immediately. It is also good to take acetaminophen to reduce the pain that may be experienced when you use a pacemaker. It is good to steer off away from magnets. This is because they have proved to interfere with the way the pacemakers work. They reduce the strength of pacemakers. It is good to have your pacemaker card all the time because the pacemaker is likely to trigger the metal alerts when you enter some building and airports. If you experience too low heart beat which go as low as 50 beats per minute. When you experience some of these conditions, it is good to seek medical attention from your doctor immediately. It is good to keep off from alcohol. Research has proved that alcohol can increase the pangs of Tachy Brady Syndrome. Once you are diagnosed with Tachy brady syndrome, it is good to stop consumption of alcohol. It is also good to quit smoking. If you smoke and you have been diagnosed with tachy brady syndrome complication it is better to stop smoking to be on the safe side. This is because, the smoke from cigarettes has been known to cause blockage and triggers coughing which may lead to a complicated situation. Avoiding of secondary smoke sources is another recommendable thing. It will be of great help to steer off areas where there is smoke as it may worsen your situation. Avoid caffeine intake. This is because it is likely to increase your heart beat that may trigger the complication of Tachy Brady Syndrome. You should therefore avoid intake of beverages that contain this ingredients like coffee and tea. Also make an effort to avoid dietary medication as they are known to stimulate fast heart beat rates. If you are overweight, it is good to get into a weight loss exercise. This is the one that will see your body be normal. Overweight people are known to have high heart beat rate. Eat a low cholesterol containing foods. Also take low salt foods. If you are suffering from high blood pressure, it is good to know how to control your blood pressure. It is good to check your pressure often so that you are aware of the state you are in. Seek medical attention from your doctor and ensure you take the medications as instructed. Patients who are reported with Tachy Brady syndrome are at a higher risk for embolic cerebrovascular disorders. Congestive heart failure and sudden cardiac arrest are the other complications associated with tachy brady syndrome. I have Tacky Brady. I have had a pace maker for 11/2 years. Full av node ablation on February 26 2014. It didn’t work. They put me back on metoprolol. 100 mg 4x daily. I have all your symptoms 24/7. 365 days a year. Metoprolol does not take away my symptoms. I feel like I am being tortured to death. This is the short version. Major stroke April 2009. Said I should be dead. Restless leg syndrome. Really bad. This is in a daily bases. No relief. Pills help the speed. BP good. Have all the TBS every day all day. I was diagnosed with tacky Brady when I was 22. My heart would stop anywhere from 7 to 10 seconds race to catch up. I am now 46 and have been experiencing shortness of breath at night waking up gasping for air. Recently I was in the emergency room for another issue a sinus infection and they hook me up to EKG. As I watch the EKG my heart rate went as low as start 36 bpm and beapers went off but the volume was set low so nobody took notice. I made the assumption that if there were an issue I would be notified. Waking gasping for air happens maybe once a month, that I notice, at what point should I be re-evaluated? I am 44 and was diagnosed with Tacky Brady 3 years ago. My doctor said I would be a great candidate for a study on Tacky Brady Syndrome. What ended up happening; that study became a 4 hour long surgery (ablation). I wasn’t feeling any more skipping, racing, slowing of my heart beats. It had stopped…until just 3 months ago. I’m starting to feel my heart skip beats more and more often (at least a dozen times a day, if not more). I’m scared but try to keep my mind off of it (thinking maybe I’m just imagining the pains). My doctor said that after a few years my heart may return to what it was before and that I may have to repeat the procedure, or get a pacemaker. I haven’t seen my doctor. Do you have any information on this?